Yep, this is yet another day in which I keep you waiting for more C2E2 titles. It’s been a cool weekend with stuff I want to share; give me a break! 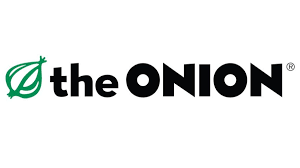 A few weeks ago, I randomly applied for a writing workshop put on by The Onion, “America’s Finest News Source.” If you do not know about The Onion, I will not be telling you, so go look it up, rookie. I submitted the application, and what do you know, I got in! The workshop is today and tomorrow, and we are learning to write like the masters at The Onion, with hopes of finding out some info on how to contribute to the wonderful on-line publication ourselves. It’s not my first exposure to The Onion. I’ve been reading it since I can remember, and a few years ago, my wife and I took the first Writing For The Onion class that Second City Chicago ever offered. Yes, it was as cool as it sounds. We learned a bunch, and I took that knowledge into my AP Language classroom, having my students create satirical Onion-style headlines with images to accompany them. I blogged about the best of them, and the link to that post can be found here. One of the most wonderful things about The Onion is their ability to pair words and images in support of each other. Normal news pieces may contain videos or images in support of a story, and they usually have an impact, however, Onion images create a secondary joke to the headline/article often adding further context or punchlines. It’s this juxtaposition of words and images that makes The Onion…in a way…a graphic novel of sorts; we can analyze the purposeful, profound combination of words and images to an extent that most comics do not allow. I found that asking my students to find perfect images to accompany their headlines was, at times, more difficult for them than writing the headlines themselves; I was a harsh editor, but making them work for that joke was beneficial to us all. Please consider using that activity in your classroom. Of course, edit the stories that you show to your students; The Onion can get very 17+, but even some of the more hard-hitting stories teach tales of social injustice no different than what Jonathan Swift was doing in the 18th century.